You helped make a difference in 2016! 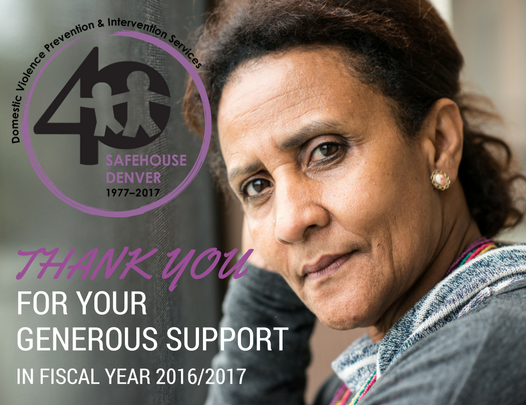 In 2016, your generous donations helped us provide safe shelter, counseling and advocacy resources to over 1,164 individuals. We're pleased to share that our Annual Report to the Community for Fiscal Year 2016-2017 is now available online. Visit https://safehouse-denver.org/about/financials.html to read more about how you helped us serve survivors. Special thanks to Blake Welch of Pique Creative for designing this piece pro bono again this year!